Medal hanging from red, blue and white ribbon, awarded for 'Service to Serbia during War'. On the reverse 'Serbian Red Cross Society London' awarded to Cheddo Miyatovitch. 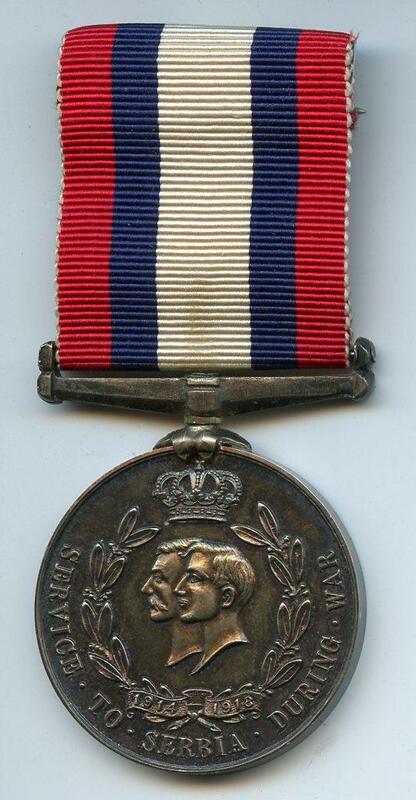 The medal was awarded by Council of the Serbian Red Cross Society in Great Britain in 1923 for service rendered to Serbia and the member's name was inscribed upon the Roll of Honourable Service to Serbia. A certificate accompanied the medal.